Welcome to the 4-star Mercure Hotel Leipzig Am Johannisplatz: Our hotel is situated only a short walk from the city center and the main train station. Enjoy and relax in the restaurant, bar, beer garden or the spa area with sauna and whirlpool bath after a busy day. Ensure quality business and private events: Our Mercure Leipzig Am Johannisplatz has 9 function rooms for up to 220 people. The historic Gewandhaus concert hall, opera house and Mädler-Passage: Shop, meet up and marvel at the vibrant metropolis of Leipzig. 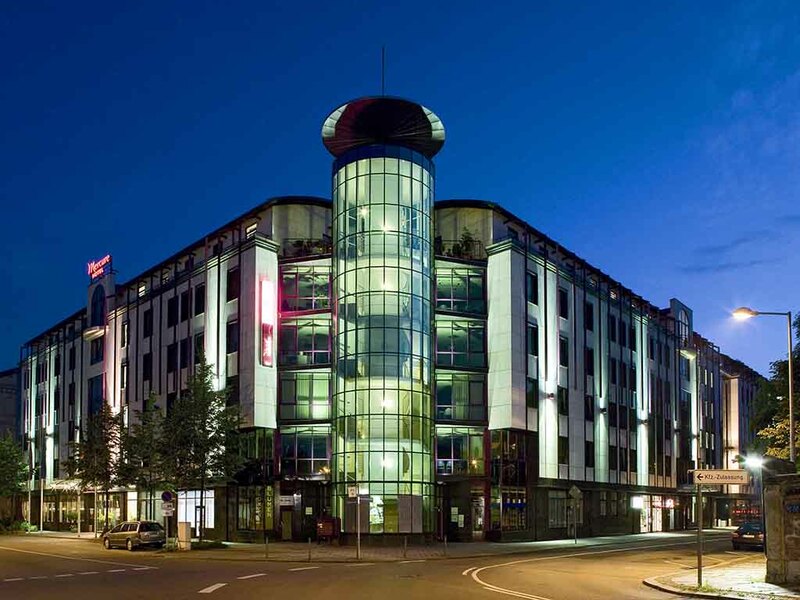 Our Mercure Leipzig Am Johannisplatz - The perfect starting point for activities in the busy metropolis in Saxony. At the 4-star Mercure Hotel Leipzig am Johannisplatz, you can choose between Standard and Superior Rooms, luxuriously furnished Privilege Rooms and spacious suites. Many of the 174 rooms have free WIFI. 2 children aged up to 12 can stay in their parents' room subject to availability; otherwise, we offer a 50% discount on a second room. A genuine Art Nouveau setting awaits you in our "LaLique" restaurant from 6am until 10pm. The menu comprises international dishes, which we are happy to serve on our terrace. Open daily until 1am, our lobby bar is a cozy place to meet in the evening. Enjoy a freshly pulled beer or a glass from our Mercure wine list. If the weather is nice, the beer garden is available for use until 10pm.